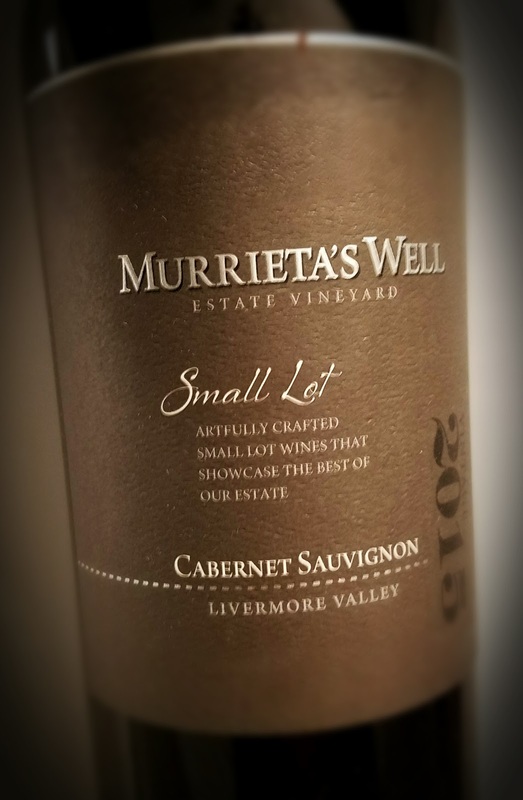 Winemaker Robbie Meyer took to Snooth awhile back to discuss the latest vintages from Murrieta's Well, in California’s Livermore Valley, including a small lot Cabernet Sauvignon that was pre-release at the time. It's now available, but likely won't be for long due to the small production. The vines of the Murrieta's Well estate vineyards were first planted in 1884 by Louis Mel with cuttings from the notable Chateau d’Yquem and Chateau Margaux properties, says the winery. Mel sold the property, lock, stock and wine barrel, to Ernest Wente in the 1930s, and it's still part of the Wente Family estate. Today, Meyer personally selects grapes from all over the five hundred acres. He says there is "nothing quite like growing fruit in the vineyard, caring for it in the winery and crafting it into something people can enjoy." Through the growing, the harvesting and the fermentation, Meyer says blending is where he sees the real art of winemaking. 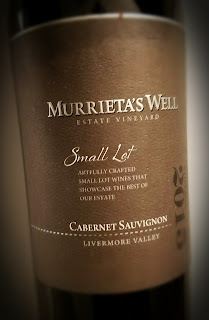 The 2015 Murrieta's Well Cabernet Sauvignon hails from one of California's lesser-heralded wine regions, the Livermore Valley. It's 87% Cabernet Sauvignon, 11% Petit Verdot and 2% Malbec, clocking in at 14.2% abv. The wine got stainless steel fermentation and 18 months aging in French oak, 80% new, 20% second and third use. Only 27 barrels were produced, and it was released in the fall at $58 retail. The grapes are estate grown, in their Sachau Vineyard right behind the winery's tasting room. Some of the Cab came from their Louis Mel Vineyard. This is an extremely dark wine with plenty to offer on the nose and palate. Aromas of cassis are joined by cedar, anise, vanilla and a bit of mint. The flavors are explosive, with blackberries and cherries prominent, savory spice and a zippy acidity to frame the firm tannins. It's a steak wine, really, but it goes well with stew or chili, too. New Age bills itself splashily as America's #1 Argentine White Wine. The blend of 90% Torrontés and 10% Sauvignon Blanc is undeniably pleasant, and understandably popular. The company says New Age is enjoyed most often in Argentina's cafes, bars and clubs "as a Tincho - served over ice with a slice of lime." They also offer on the label a couple of tasty-sounding recipes for using New Age in cocktails. New Age Wines are made by Bodegas Valentin Bianchi, a fourth-generation, family-owned winery that got its start in 1928. From sustainably farmed vineyards in the country's San Rafael region in Mendoza, the naturally sweet mouthfeel comes from stopping the fermentation at the halfway point by spinning it in a centrifuge. I have never heard of that method, but it's on their website. The lightly sparkling wine is light enough at 9% abv so that it won’t weigh you down. A great aperitif, or in one of the on-label cocktail recipes, This wine will also be a great pair with spicy dishes like Thai or Indian cuisine. This off-dry white wine pours up a bit fizzy, but the bubbles dissipate quickly. The nose is highly aromatic, like white flowers and a hint of earth and tangerine. On the palate, the slightly sweet flavor is the highlight. Unfortunately there isn't much acidity, so just enjoy as an afternoon sipper or in a cocktail. 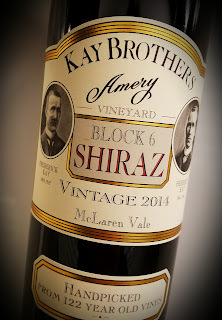 The Kay Brothers - Herbert and Frederick - formed a winery in 1890 in the Australian town of McLaren Vale. The area is south of Adelaide in South Australia, right next to St. Vincent Gulf. Their Amery Vineyard produces grapes like Cabernet Sauvignon, Merlot, Nero d' Avola, Grenache, Mataro, Muscat Blanc and a little thing they like to call Shiraz. The grapes for this wine come from Block 6 of the vineyard, hence the catchy name. The winery says that Block 6 was planted in 1892, which makes the vines well over 120 years old. The process of establishing the winery was meticulously recorded in a family diary, some of which is available to read on their website. The brothers put their backs into running the winery for 57 years, before death claimed them just one year apart. The following generations were led by Cud Kay, and now Colin Kay. Duncan Kennedy is the Kay Brothers' senior winemaker. 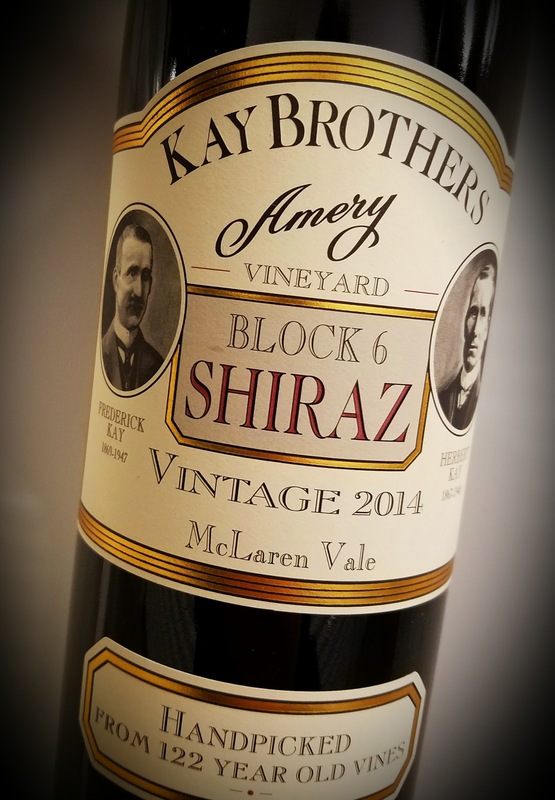 The 2014 Kay Brothers Amery Vineyards Block 6 Shiraz is the 32nd wine in the flagship series. The grapes were handpicked from those century-and-a-quarter-old vines. The 3½ acres which make up Block 6 have varied soil which the vines call home. The winery says the earth ranges from red loam to heavy clay to gravelly alluvial soils. They say the underlying "South Maslin Sands" geology is extremely complex, with layers of glauconite, limestone, sandstone and siltstone. Which translates to minerals, minerals, minerals. The juice for the wine spent ten days on the skins after pressing for maximum color extraction. Aging took place over a nearly two-year span, in French and American oak barrels, 40% of which were new. The oak plays a supporting role to the fruit in the Block 6 wine, as it should. Alcohol hits 14% abv and at $95 retail, the wine is by far the most expensive in the Kay Brothers line. This Australian Shiraz has four years of age on it. The dark wine displays a nose rich with flinty minerals, pretty flowers and black and blue fruit. The palate shows similar, but a little heavier on the fruit. Still, the earth is plainly there along with cigar box, sage and licorice. There's a zippy acidity and some fairly youthful tannins which invite a pairing with your favorite steak. We at Now And Zin are busy today, opening all those gifts, snacking on that stocking full of cashew nuts and dining on that roast beast before the Grinch gets at it. May you enjoy wine to the fullest in the coming year, find new wines to love and love your old favorites even more. Remember that the best thing about wine is sharing it with someone. And while we're at it, a very smart man once offered a seasonal wish that bears repeating more now than ever: "A very merry Christmas, and a happy New Year. Let's hope it's a good one, without any fear." Merry Christmas, and Cheers! 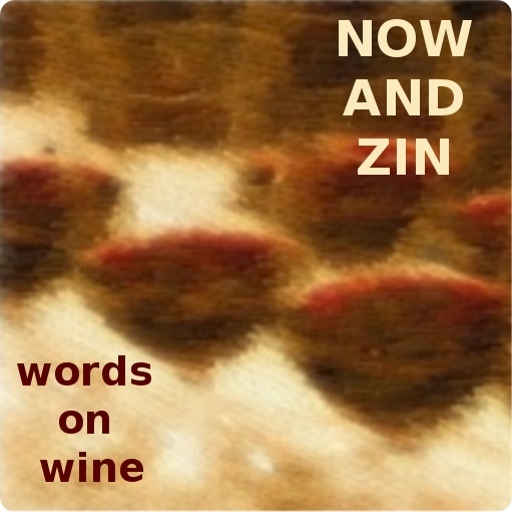 From Now And Zin Wine. German wines tend to fall beneath the U.S. wine drinker's radar. Aside from Riesling, one could be hard-pressed to find a German grape variety or even a German version of a more familiar grape, on a supermarket shelf. Specialty wine stores will dig deeper, but depending on their inventory they may not have a very wide selection. With this in mind I was thrilled to be asked to participate in an online tasting event involving German wines, with Matthew Kaner, wine director and partner at several wine bars in the Los Angeles area. Kaner says of the new world of German wine, "there’s more than just Riesling," and he went on during the event to cover a Muller-Thurgau, a Pinot Blanc and a Pinot Gris as well as a Riesling. Another invite appfreciated "the brightness, raciness, and lower alcohol levels in these wines," noting that "those characteristics are trademarks of Germany's refreshing, cool-climate wines. Not to mention their food-friendly nature" That guy knows what he's talking about. Weingut Weinreich is located in a part of Rheinhessen called Wonnegau. The owner writes that people seemed to either work at refineries or used car lots, which sounds a lot like how a friend of mine described our southeast Texas hometown. The younger generation took over the winery a decade ago and is reportedly keeping the old ways farming organically and harvesting by hand, as grandpa did. The wine is a Pinot Gris, known in Germany as Grauburgunder. Alcohol is restrained at 12.5% abv and it retails for about 12 bucks. 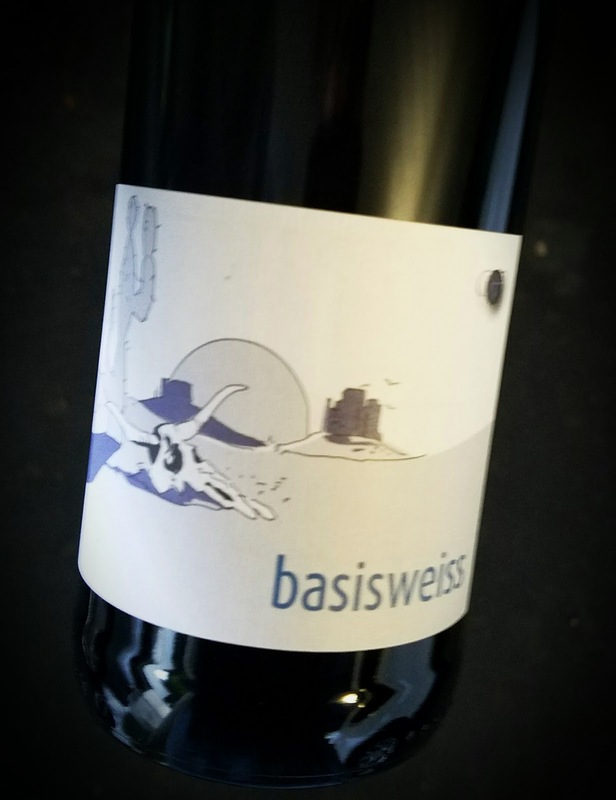 The southwestern U.S. desert motif on the label may possibly indicate how dry the wine is. This beautiful German Pinot Gris is only faintly aromatic with a chalky nose that features mainly limes. The palate gets some apple in with the citrus and has a healthy dose of minerals, too. Acidity is rippingly fantastic and the finish is loaded with fruity wet rocks. The locals call it paradise on a peninsula. Michigan's Old Mission Peninsula wine region sticks out of the northwestern edge of the state's main body, into Lake Michigan. Situated on the 45th parallel, about the same latitude where you find Bordeaux, it's a 19-mile spit which juts northward and forms the east and west sides of Grand Traverse Bay. It's only four miles wide at its broadest point. They grow wine grapes there. The blue waters surrounding the land are some 600 feet deep, that produces what they call a "lake effect" which I am told protects the vines with snow in winter, slows bud break in spring to avoid frost damage, and extends the growing season by up to four weeks. There's a thriving wine AVA on the strip of land, along with breweries and distilleries. 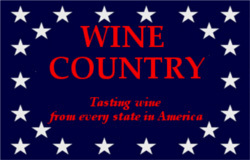 I've tasted Michigan wines before and found them to be of very high quality, so I had high expectations when the OMP reps sent some of their wines to me for review. I was not disappointed. At the base of the peninsula is Traverse City, which is where Two Lads Winery is located. They have 23 acres of sustainably farmed grapes and make a variety of wines, mostly red. Their tasting room boasts a view of the east bay. 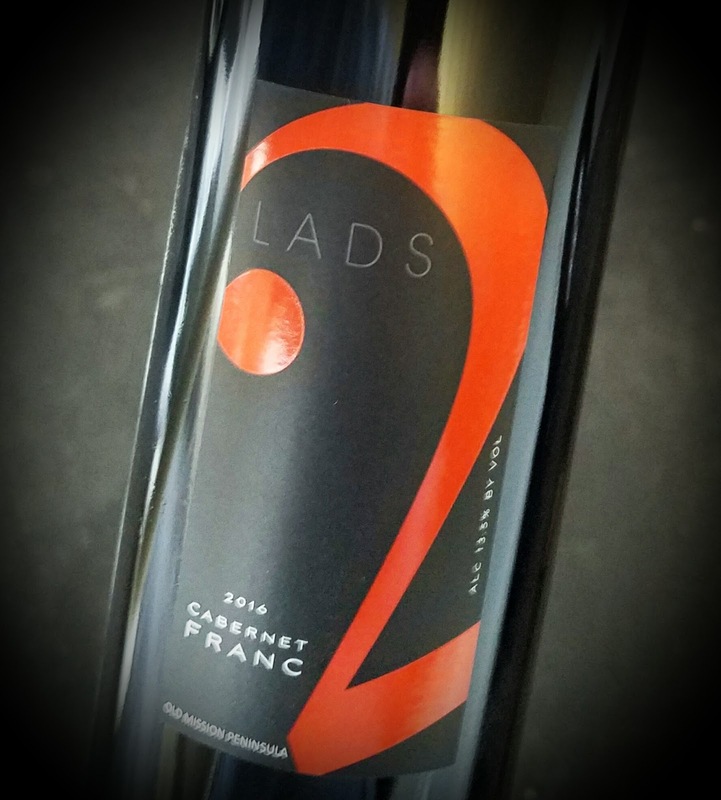 The wine - 85% Cabernet Franc, 15% Merlot - was allowed to complete full malolactic fermentation, creating a fuller mouthfeel and weight, then aged for nine months. 45% of that aging took place in stainless steel tanks, 40% in used oak barrels and 15% in a large French oak tank. The alcohol content is blessedly restrained at 13.3% abv and it retails for $35. The wine is excellent. A nose that promises blackberries and chocolate is followed by a palate that is dark, rich and complex. The fruit has accompanying notes of black pepper, anise and mocha. The mouthfeel is smooth, yet the tannins are firm enough for a ribeye. Don't limit yourself, though. This is a great wine for a chocolate pairing, the darker and richer, the better. This Australian Sauvignon Blanc is billed as an inexpensive and refreshing white wine, which it is, but it’s also kosher. Under the Royal Wine global umbrella of fine kosher wines, Teal Lake is crafted by family winemaker Andrew Peace. He works from vines planted a quarter century ago in the dirt of the Murray River valley. The wine hits 13% abv for alcohol and is Mevushal kosher. You can read up on Mevushal here - it's a fascinating explanation - but to boil it down for you, Mevushal wines are flash pasteurized (they used to be boiled) so they can be served to Jews by those outside the faith. This does some damage to the aromas and flavors, although reportedly not as much as boiling did. The wine retails for $12. 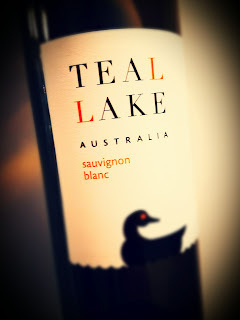 This kosher Australian Sauvignon Blanc smells lightly of grass, but not to the extent that a New Zealand SauvBlanc does. There are citrus and minerals, too, but it's altogether a fairly tame, and pleasant, aroma. Acidity is fresh, the palate shows Meyer lemon and minerals in a tasty, if not compelling, scenario. Winemaker Erik Miller moved from Indiana early this century to satisfy his wine itch. He picked a good spot, Sonoma County, although as owner of Kokomo Wines, he also sources grapes from other growers in Dry Creek Valley and other areas of the county. Named after Miller's Indiana hometown, Kokomo was established in 2004 on Dry Creek Valley's east side. His grower-partner Randy Peters is a fourth-generation farmer who raises grapes in Sonoma's Dry Creek , Russian River and Alexander valleys. The winery is located in Timber Crest Farms, where Zinfandel has been growing for 150 years. Miller uses the cuttings from those plants to start new vines. His winemaking philosophy involves letting the grapes speak for themselves, up to a point. Miller strives for firm tannins, but not to overpower. He wants vibrant and expressive aromas and flavors, but without overuse of oak. 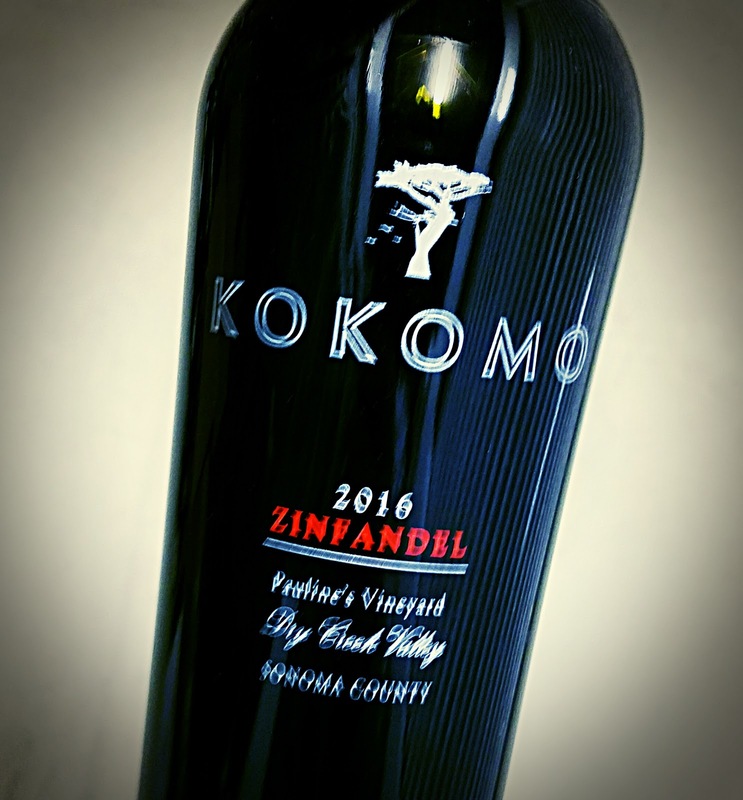 The 2016 Kokomo Zinfandel from Pauline's Vineyard is made from grapes grown across the street from the winery. The vines are of a clone that was planted on the property in the 1800s by Peters' grandfather. The wine was aged for eleven months in half French and half other European oak, about a third of which was new. Alcohol hits a predictably high 15.5% abv and it retails for $36. This deep, rich Zin lets no light through the glass and offers a nose just as opaque. Dark currant, blackberry, raspberry and licorice dominate the generous aromas, with a healthy dose of allspice, sage, mint and cinnamon. The palate is delicious, showing dark berries, strawberry, holiday spice and a note of black pepper which lingers on the finish. The oak treatment, although restrained, may be just a tad too much for me, but California’s heritage grape gets a fine treatment here. France's Côtes de Gascogne region is in the southwest part of the country, in the Armagnac region, and is known as Gascony in English. There is forest to the west, then the Atlantic Ocean; the Pyrenees Mountains, then Spain to south. Various combinations of clay, limestone, sand and silt make up the soils. The Gascogne wines are mostly white, with only ten percent red and ten percent rosé. Winemakers can choose from more than 300 different grape varieties, but most common are the white Colombard, Gros Manseng, Ugni Blanc, Sauvignon Blanc and Chardonnay. Red grapes include Tannat, Merlot, Cabernet Franc and Cabernet Sauvignon. Seventy-five percent of the Gascogne wines are made for export. Look to this region for dry, crisp, refreshing, aromatic whites. Domaine de Joÿ is a four-generation winery in the Armagnac region of Gascogne. Veronique and André Gessler now have sons sons Roland and Olivier involved in the business. The 2017 Eclat is a dry white blend that clocks in at 12% abv and sells for about ten bucks. This lovely white wine combines the best of what, to me, are less than appealing grapes. 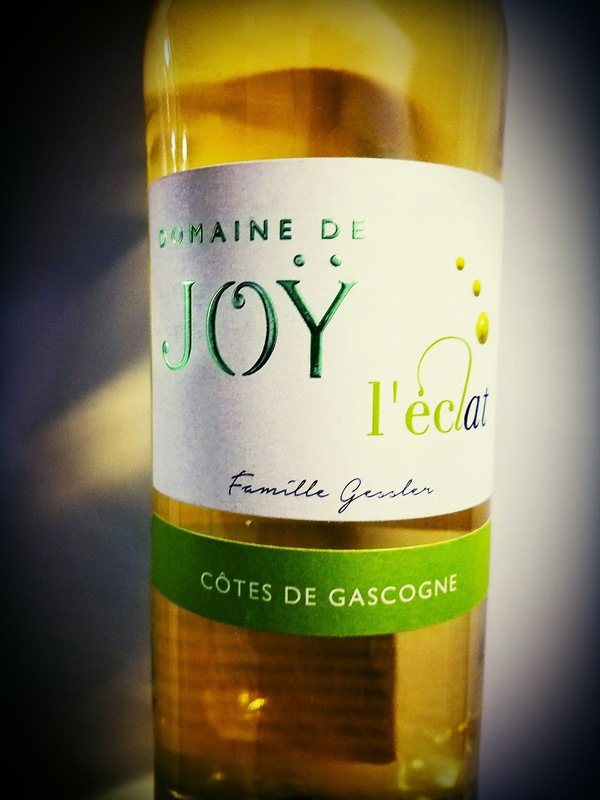 You get Colombard, Ugni Blanc, Gros Manseng and Sauvignon Blanc in this Gascogne blend. It shows a beautiful golden tint and smells of citrus, most notably grapefruit. There's also some wet rock minerality along for the ride and a soapy savory note. The palate gives a broader citrus flavor and, again, plenty of minerals. Acidity is fresh, but not too tingly. The finish fades fairly fast, but it's great while it lasts. MacPhail Wines is a Cloverdale collaboration between fifth-generation Hess Family members Tim and Sabrina Persson and winemaker Matt Courtney, who says he likes his oak to stay in the background. They all reportedly feel that wine is art with a splash of science. They make wines of the Sonoma Coast and Anderson Valley. 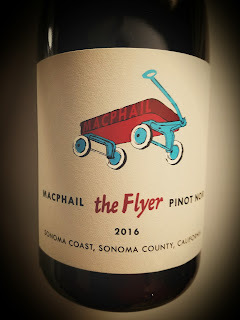 The Flyer is 100% Pinot Noir grown in the Sangiacomo Lakeville Vineyards in the Petaluma Gap. Lots of fog means additional hang time for the grapes, which means riper fruit. The grapes are hand-harvested and sorted, destemmed. For the 2016 vintage they used Pinot Noir clones 777 and 23, both fermented in same tank, with full native fermentation. The wine is aged 11 months in French oak, 30% of which is new. The wagon on the label reportedly represents "timeless design and exceptional quality." Oh, and Tim and Sabrina signed the back label. 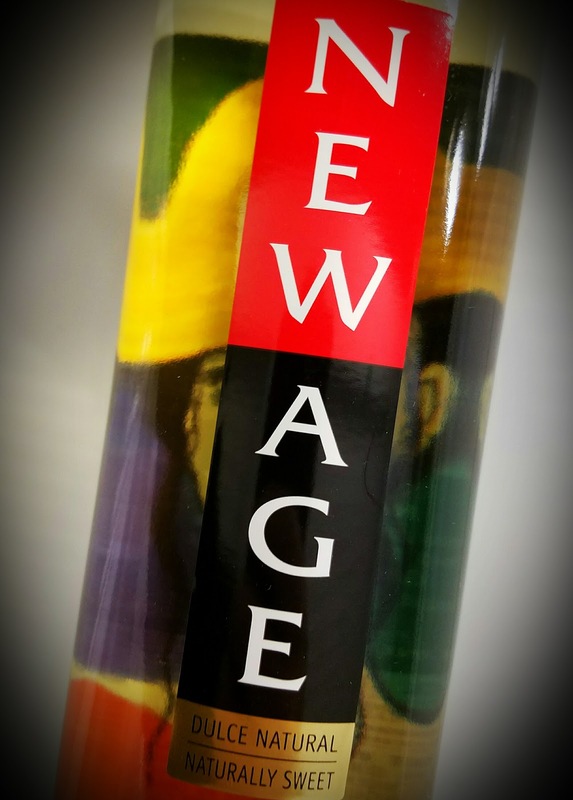 The wine hits 14.5% abv and retails for $50. Be warned, this wine does not smell like Pinot Noir. It's big, it's bold, it's frightfully funky. Only medium ruby in color, the nose is full of forest floor, smoke and tar. The palate is all dark fruit, bathed in a savory soak, sprayed with violets and punched with acidity and healthy pack of tannins. Oak adds to the experience, but doesn't overpower. You won't have to be careful with pairings, as this Pinot will match up with the beefiest beef dishes. Argillae's Orvieto is in Italy's Umbria region, landlocked and surrounded by other Italian regions in the heart of the country. The area has changed shape since the time of the Romans and has seen many wars through the years, most recently World War II. Argillae was founded by Cavaliere del Lavoro Giuseppe Bonollo in the hills north of the town and the 94-acre estate is now run by today's generation. Their U.S. importer says winemaker Lorenzo Landi works with grapes grown in clay, sand and limestone. Argillae, in fact, is the Italian word for clay. The clay soil stays cool and helps the grapes grow better through the hot Umbrian summer. Ancient fossils dot the landscape from two million years ago, adding their own special minerality to the fruit and the wines. The 2016 Argillae Orvieto is a blend of grapes: Grechetto, Procanico, Malvasia, Chardonnay and Sauvignon Blanc. You may recognize Procanico by its local name - Trebbiano. The different grapes were vinified separately in stainless steel tanks, then blended together and aged a few months in those tanks. Alcohol is restrained, at 13% abv and I paid $11 by the glass for it at a Beverly Hills Italian restaurant. This dry white wine strikes a nice balance between the floral and mineral aspects. Served too cold, as it always seems to be in restaurants, it's hard to dig out any scent at all. Once it escapes the clutches of the refrigerator, the citrus and minerals work hard enough to rival the flowers. The palate is mineral-driven and fits perfectly with pasta and chicken in a light tomato sauce. Call me a Grinch, but I don't get into mulled wine. Warming up a pot of wine simply doesn't sound good to me. Maybe it reminds me of a particularly nasty Dickens festival I attended years ago. Maybe I don't like drinking wine that tastes like a potpourri, or one of those oranges with all the cloves stuck in it. Maybe it's just a West Coast bias. In Los Angeles it barely gets cold enough for warm food, much less warm wine. Every year, the wine web is ablaze with articles on mulled wine. There are endless sites offering the perfect recipe for disaster, in which an entire bottle of perfectly good wine is poured into a pot. In with it goes an orange, some brandy, cloves, sticks of cinnamon, ginger, allspice, nutmeg, oregano, basil - oh, sorry, I accidentally clicked back to that pasta sauce recipe on the other tab. Stand over this kitchen sink of lovely ingredients for about a half hour on low heat, preferably while playing the Charlie Brown Christmas cartoon. Be careful not to boil it! God have mercy on us if it boils! Pick out some nice, wintry-looking vessels and ladle it up. Throw a shilling to the carolers who have no doubt been drawn to your stoop by the aroma and sip away while the holidays just roll over you. If you're interested, the internet is literally crammed full of mulled wine recipes that promise to "take the chill off the bones" Meanwhile, make mine Port. 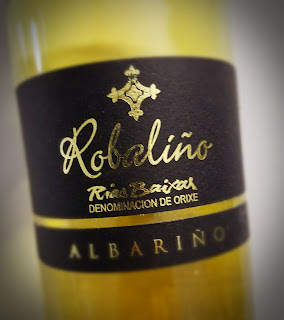 Albariño is a lovely white wine grape that is predominant in Spain's northwest corner. It's the reason they get out of bed every day in the Rias Baixas region of Galicia. The winery known as Señorío de Rubiós is in the Condado do Tea subregion of Rias Baixas. It claims to be an amalgam of 105 partners, whose work filters through winemaker Jorge Hervella. Their 2017 Robaliño Albariño is made from grapes which grow near the river Miño in vineyards which sport sandy and granitic soils. Alcohol sits low at 12.5% abv and the wine retails for $14. This Spanish white has a pretty yellow tint in the glass and gives the expected nose of honeysuckle and citrus. The lemons and limes are more forward on the palate, with a stirring minerality to go with them. The acidity is quite nice, and the lengthy finish is refreshing. Hungary may not spring to mind first when the topic of great wine regions is broached, but that's going to have to change. The area of northeast Hungary has been home to winemaking for at least a thousand years, probably longer. The Furmint grape is used there to produce Tokaji aszú, the dessert wine that has been called the king of wines and the wine of kings. However, there is a movement on to dry things out in Tokaj. Decades of communist rule decimated the region's reputation for wine, but it has been on the upswing since 1990. 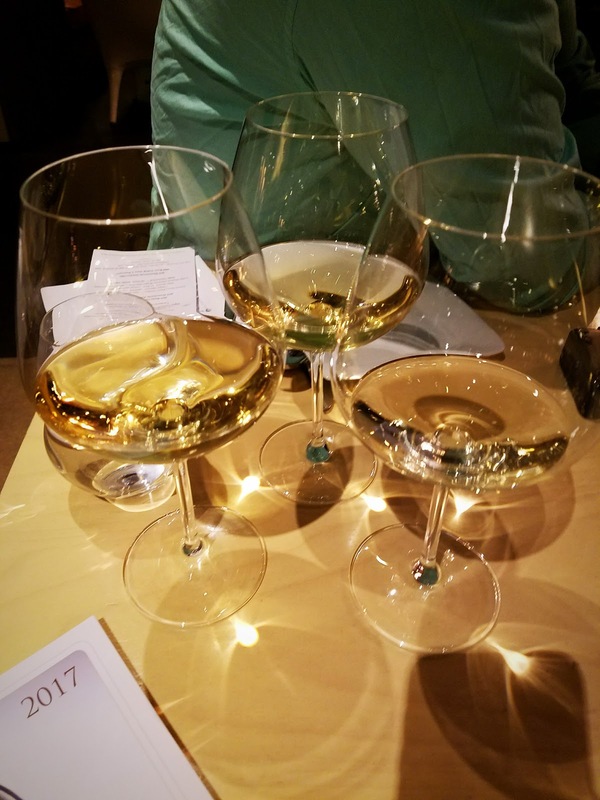 Dry wines made from Furmint are now experiencing trendy hotness, and FurmintUSA came to Beverly Hills to show off a smattering of examples. We gathered at The Bazaar by José Andres for a dinner of delicious treats paired with the amazing dry Furmint wines of Hungary. Furmint lends itself to a wide range of styles, from light and dry to lively and sparkling to sweet and botrytized. Balázs Humayer, the co-founder of FurmintUSA, was there to extol the virtues of these great wines which are creating an international buzz. He feels that Hungary is about to become a major player in the U.S. wine market. All that really needs to happen is for American wine drinkers to go exploring as they peruse the wine list or scan the shelves. 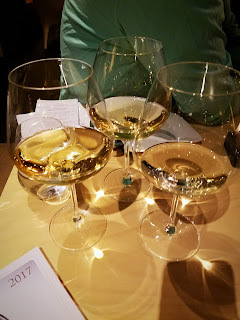 The dry wines I tasted at the dinner are delicious, food-friendly and deserve to be considered right alongside that Chenin Blanc or Vermentino. In California, seven Hungarian producers are imported by J.J. Knox of San Diego. Hungary's shift from sweet to dry wines came about 50 years ago when they realized how good they were. The clay and loess soils of the region sit on a volcanic base which imparts a distinctive minerality to the wines. The wines poured at the dinner fall mostly in the $20 or so range. The dessert wine is more expensive. 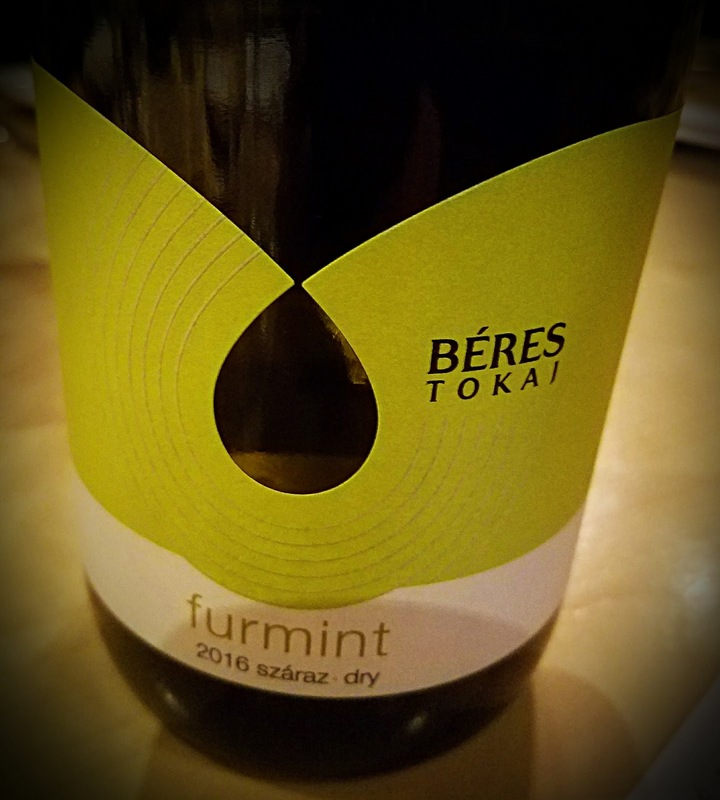 Beres Dry Furmint 2016 - This unoaked, beautiful aperitif shows great minerals and acidity and is a fabulous food wine. It paired very well with the olives and the goat cheese and star anise dip. St. Donat Marga Dry Furmint 2013 - The only wine of the night not from Tokaj, this one hails from Csopak, a village on Lake Balaton. A little oak was used in making this one, as well as concrete amphorae. Smoke, earth and citrus attract on the nose while the palate shows stone fruit and a slight anise note. It's quite complex and was lovely with the King crab in raspberry vinaigrette. 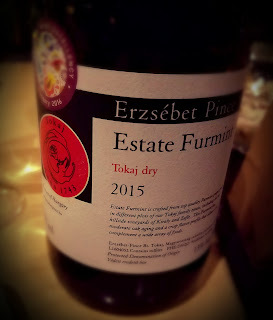 Erzsebet Estate Furmint 2015 - Erzsébet (Elizabeth) Prácser was one of the first female winemakers in Tokaj, setting up shop in the early '90s after Soviet troops ended their three-decade stay in Hungary's streets. There's more salinity in this one and a great acidity. It paired extremely well with with the tomato and liquid mozzarella caprese. Grof Degenfeld Off-Dry Furmint 2013 - It's a bit like a Riesling, grown in tightly-packed soil. The pairing was excellent with grilled octopus and chicken béchemel fritters. Majoros Deák Vineyards Dry Furmint 2015 - I'm told László Majoros is one of the more experimental winemakers in Tokaj. Oak figures into this wine, but it's typically restrained. Notes of smokey and spicy ginger and caramel had me thinking of serving this one for the holidays. It's a great food wine and paired well with the sautéed shrimp. Barta Oreg Kiraly Dry Furmint 2015 - This wine is made from the grapes of a "grand cru" vineyard. There's a smokey nose, with citrus and anise on the palate. Demetervin Tribal Tattoo Dry Furmint 2015 - This cuvée from two "grand cru" vineyards does a lot with very little interference from the oak. Smoke, salinity and citrus dominate the nose, while the palate focuses on fruit. It's great with coffee rubbed American Wagyu beef strips. Demetervin Szamorodni 2013 - Szamorodni is a style, which is sweet like a Sauternes. Aszú is different in that the grapes are harvested singly rather than in whole bunches. This wine shows candy apricots and is a great complement to dessert or can stand as dessert on its own.